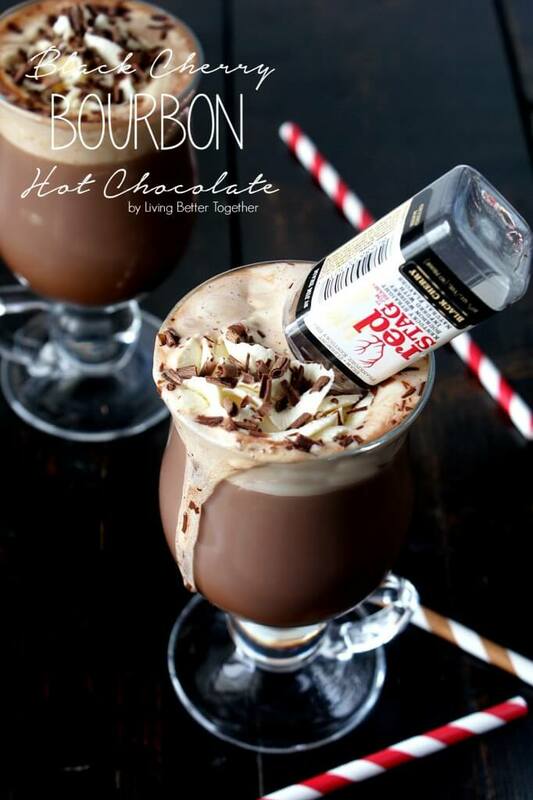 This Black Cherry Bourbon Hot Chocolate is the perfect thing to warm you up! It’s that time of year, hot chocolate and ciders are slowly replacing the sweet iced teas and tart lemonades of summer, but that’s nothing to get upset about. 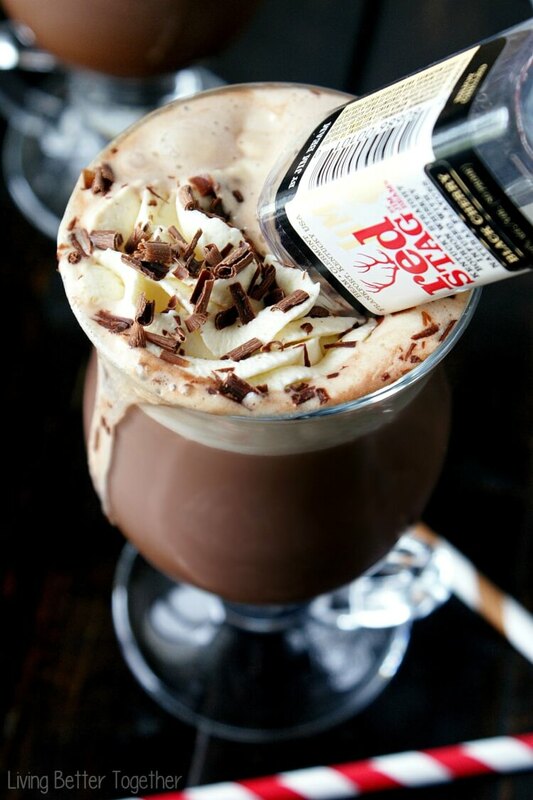 Hot beverages can be just as exciting as iced ones, especially when you add a little liqueur! But I’m tired of seeing the same of thing over and over again, so screw the Irish Cream, hold the schnapps, and nix that whipped vodka. 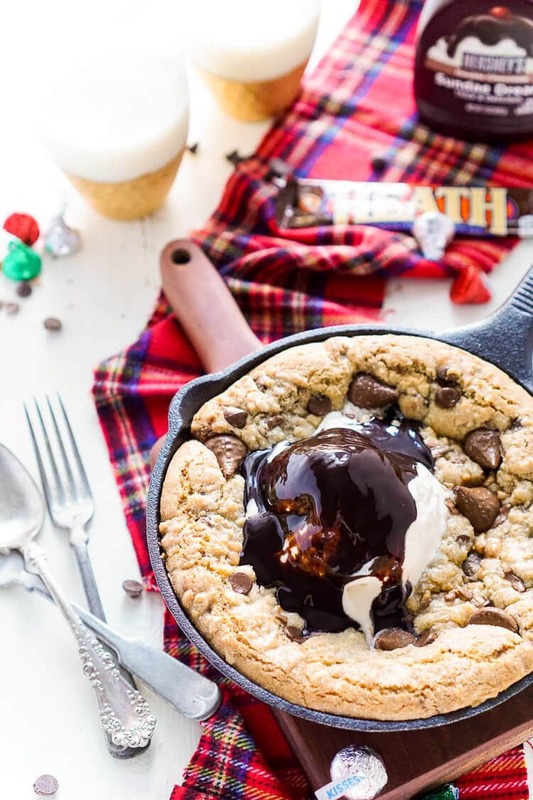 It’s time to really kick hot chocolate up a notch! Who’s with me? I’ve had some Red Stag Black Cherry Bourbon hanging around since earlier in the summer. I knew I wanted to use it to make something awesome for all of you, but it wasn’t until just last week that I had that “Ahh-hah” moment and knew exactly what I was going to make with it. 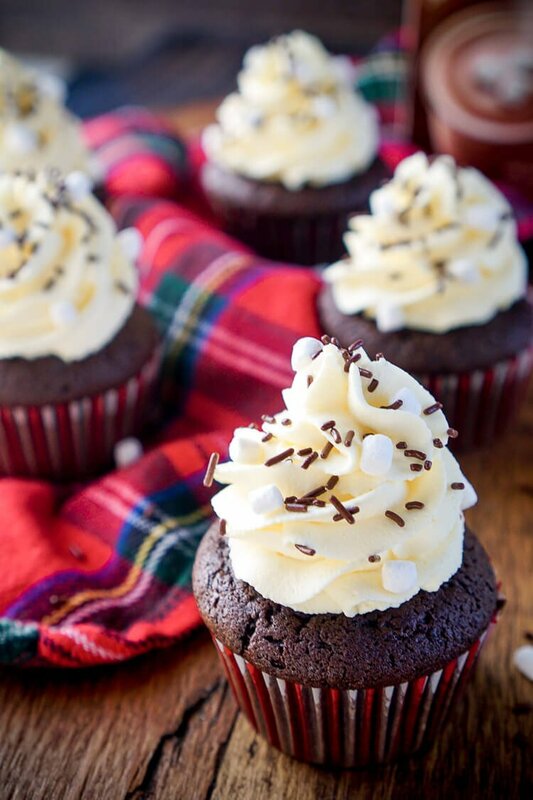 Chocolate and Cherry go together great when it comes to baking, as seen in my Black Forest Cupcakes, so they must make a wicked good cocktail too, right? And why not add a little bourbon, sure it’s more flavorful than most liqueurs, but the oak notes pair nicely with the rich chocolate and vibrant fruit. 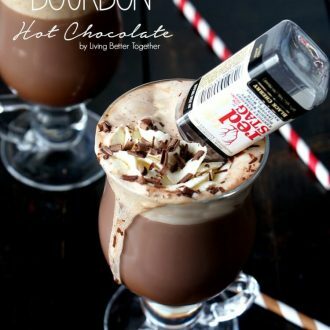 So who wants to join me in having one of these Black Cherry Bourbon Hot Chocolates? 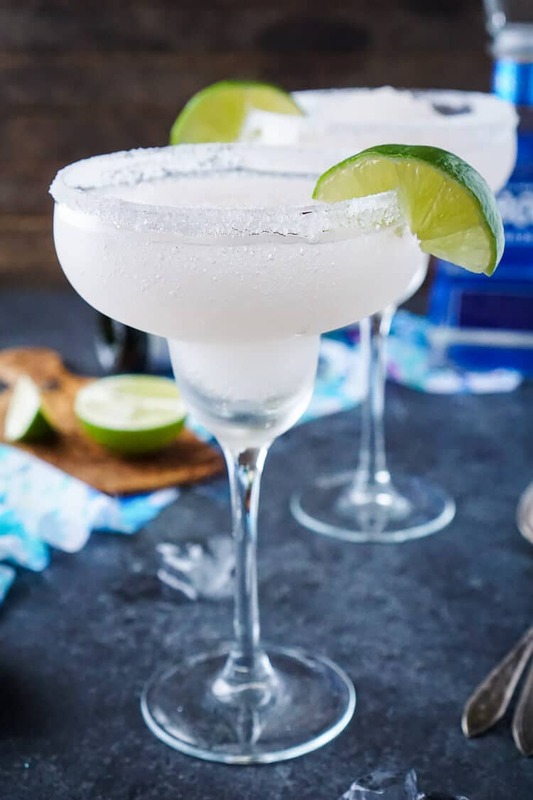 You won’t regret it, these babies will warm you up in more ways than one and you’ll want nothing more than to cuddle up with a mug and a good book while the leaves fall outside. Take your favorite cold weather beverage to the next level with a little black cherry bourbon. In a small saucepan, heat milk and hot chocolate mix over medium - high heat until it starts to steam (do not boil). Pour 1 oz. of black cherry bourbon into each cup. Evenly divide hot chocolate between the two cups. This is just gorgeous! 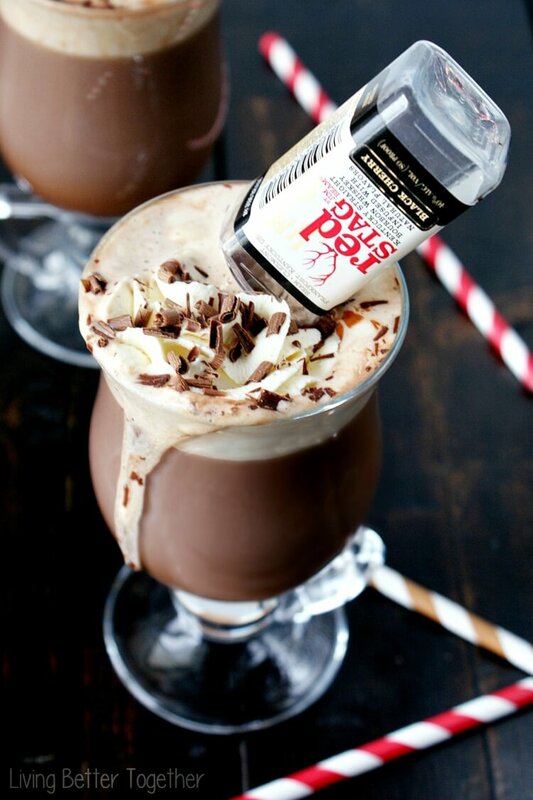 Looking for ideas for an upcoming hot chocolate bar… and this looks amazing!